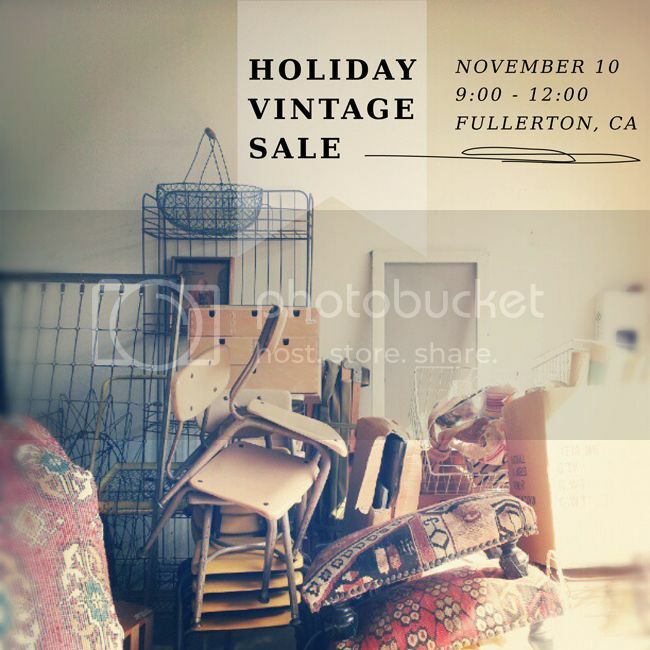 Los Angeles + Orange County -- we're having a holiday vintage sale on Saturday, November 10th and I thought it'd be fun to open it up to local friends who have vintage goods to sell. If you'd like to participate in the sale, we have a few spots open! There is a small participation fee - if you'd like to sell your vintage finds, please email me with a photo of the items you have for sale and any links (blog/shop/etc) If you don't have a shop or blog, it's okay as it is not required to participate. Hope you are planning on stopping by and seeing all the fun stuff for sale! List of friends participating coming soon..
Oh, I would be there in a heartbeat! Fullerton is my city, but that date I will have halfway across the country for a wedding. Hope your sale is a lot of fun!